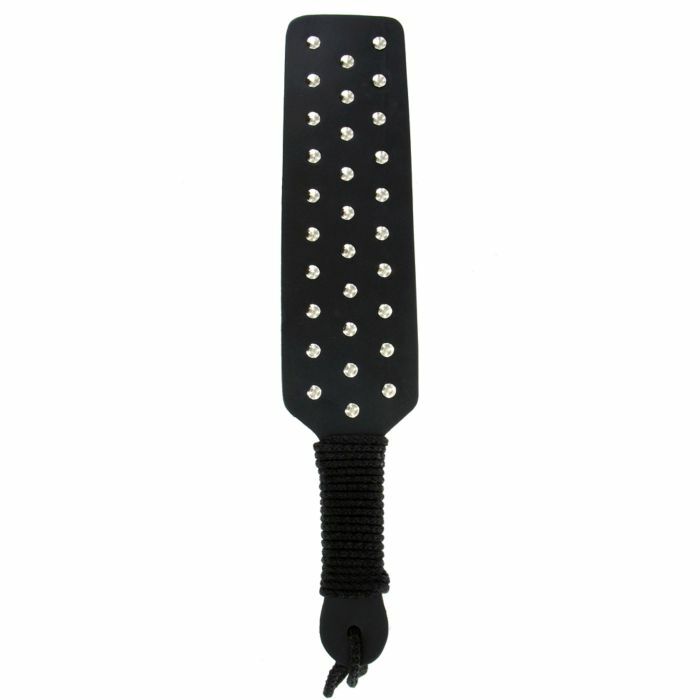 The Master Series Studded Rubber Paddle means serious spanking business! This dense, thick rubber paddle features both a smooth side and a textured side filled with raised metallic studs for extra bite. Pick your poison for the perfect level of pain. The rope bound handle and loop help ensure you have an optimum steady grip with each dominating swing. This severe impact toy is sure to give plenty of pummelling pleasure.